We are leading exporter and manufacturer of Wood Wool Insulation Board, Fibre Ceiling Tile, Sound Insulation Board and many more. Our manufactured natural panels are extensively used material in roof insulation, false ceiling, wall panelling, partitions, flooring both for thermal as well as acoustic insulation. 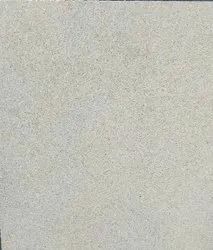 The raw materials wood fibers and magnetise gives off white colour to fibrecrete natural panels, although they can be spray painted with other colours as well. Our natural panels are available in 5 densities & 10 thickness from 6 mm, which is the thinnest wood wool insulation slab. These Panels are the most extensively used for wall panelling in Multiplex, Cinema Theatres, Studios, Conference Rooms etc. Non Woven Fabric is pasted on one side of Fibrecrete Natural Panels. One can also paste this fabrics or stretch some designer Fabric on these panels on site to obtain some design & pattern. We are offering a wide range of Fibrecrete Micro Fibre Ceiling Tiles. These tile are made of minute wood fibres to give a very precise look for a ceiling tile. These tiles are used both for sound absorption & isolation. A layer of thermocole is sandwitched in the panel for better thermal insulation. 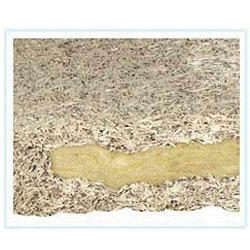 Our fiberglass insulation boards are Massively used in Roof Insulation & false ceiling. 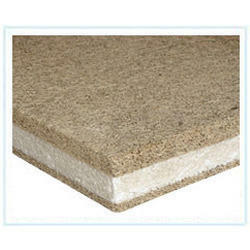 Manufacturer & Exporter of Fibrestyrene Woodwool Insulation Board & Wood Wool Insulation Board. Our product range also comprises of Fibrecrete Woodwool Insulation Boards, Fibrecrete Fibra Fabric Woodwool Insulation Board and Fibrecrete Micro Fibre Ceiling Tiles. These boards are available in 5 thicknesses (25mm, 40mm, 50mm, 75mm, 100mm). Offering you a complete choice of products which include soft wool sandwich panel.